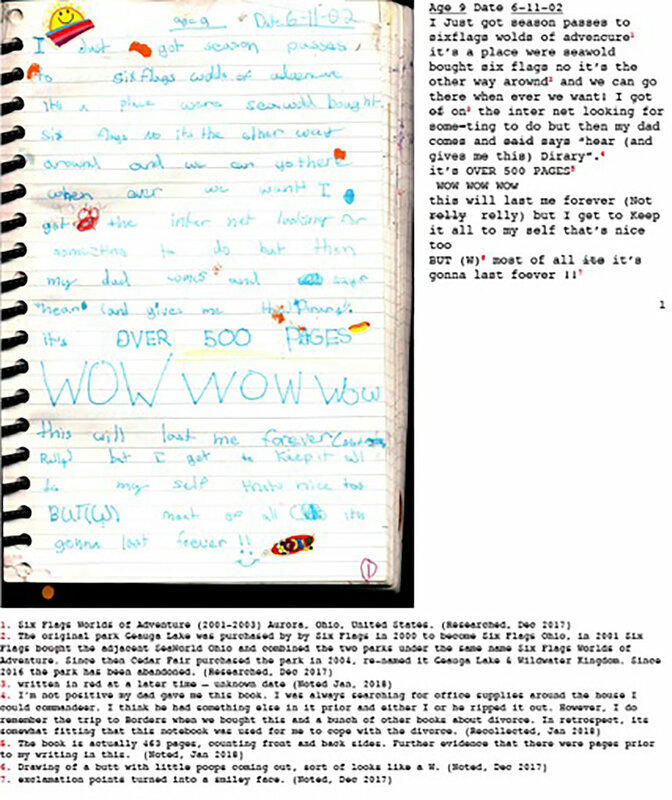 KT’s Life Annotated is an ongoing project where the artist annotates their own childhood diary. This process is meant to fill in gaps of missing information using a combination of memory recall and research within a personal archive of documents and information that can be found on the internet. The end result will be an artist book and may require additional volumes as the artist’s life progresses.